Are you looking for a way to give your wedding a flare without going over the top? Why not consider using feathers as accessories. 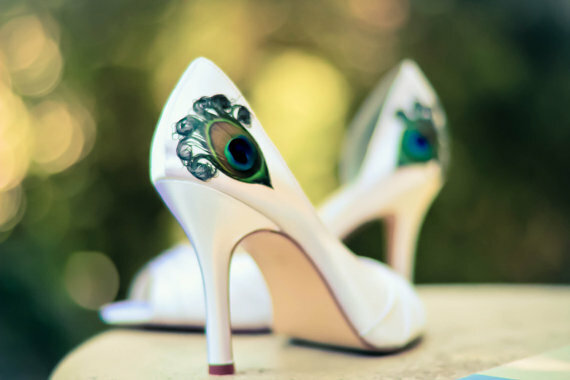 You could wear them in your hair, on your shoes, in your bouquet or even on your pocketbook. 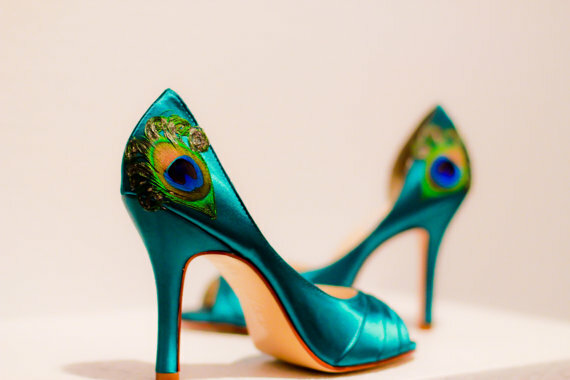 The sea-green shoes are stunning with the feathers as well as the white and gold pumps. It is fun yet dressy. What a wonderful way to make your wedding day cohesive and coordinated. So when you are planning your nuptials, think of ways to use accessories to spice up your day. It will definitely make you stand out and your wedding will be spectacular.